As part of the Summer Program, Overlake offers an Accelerated Geometry course for credit (open to rising 9th and 10th graders) and a cross country camp. No class on July 4 or 5. Cost and Cancelation Policy: In order for this unique course to run, a minimum of 4 students must register. Overlake will make a final decision on if the course will run by May 3. Families will receive a full refund if the course is canceled. Please note that—due to the unique nature of this course—there are no coupons available for the Accelerated Geometry class. This is a credit-granting course. 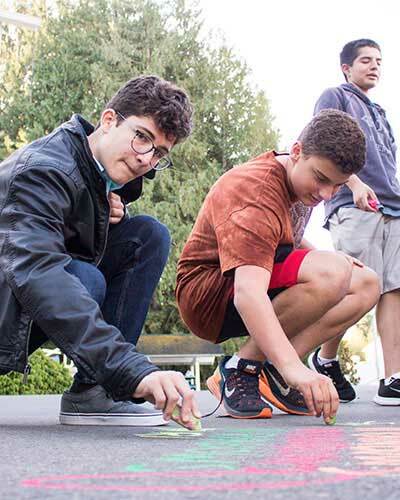 Accelerated Geometry is a rigorous, accelerated course in high school geometry taught at the level of The Overlake School’s year-long Honors Geometry course. This course focuses on providing fundamental insight into an axiomatic geometry system, the development of logical and critical thinking skills, and communication with precise mathematical language. This is a fast-paced course with daily assignments and assessments. The course covers all topics covered by The Overlake School’s Honors Geometry curriculum. Students taking this course are expected to have completed at least one year of algebra and be well-versed in solving systems of linear equations and quadratic equations. This is an accelerated, credit-granting course designed for highly capable, motivated, organized, and self-driven students for the purpose of advancing in their mathematics studies; it is not designed for enrichment, preparation for a year-long geometry course, or remediation. The Overlake Summer Program will admit students to Accelerated Geometry on a rolling basis starting in February. Students are expected to have all parts of their application complete by May 1 at the latest. Applications for the course will be reviewed once all materials have been submitted. Schedule a meeting with the student’s current math teacher to discuss their recommendation for the course. Students must receive a completed recommendation form from their current math teacher in order to move forward with the application process. Once the recommendation form is completed by the current math teacher, students should submit the form to Eric Clifford (eclifford@overlake.org). Eric will then give students a problem set to complete. The problem set should be completed and delivered directly to Eric Clifford within one week of receiving it. Eric will review the problem set and provide the final recommendation to the Overlake Summer Program Director (Nate Edmunds). Once these steps are completed, the family will receive notification from the Summer Program Director about the application’s approval. If approved, students will then move forward with the registration process in CampDoc. In order to apply for the Accelerated Geometry course, students must submit their most recent transcript, a teacher recommendation form, and the short problem set accompanying the application. As this is a rigorous, accelerated, summer course, acceptance is not automatic and subject to instructor approval. 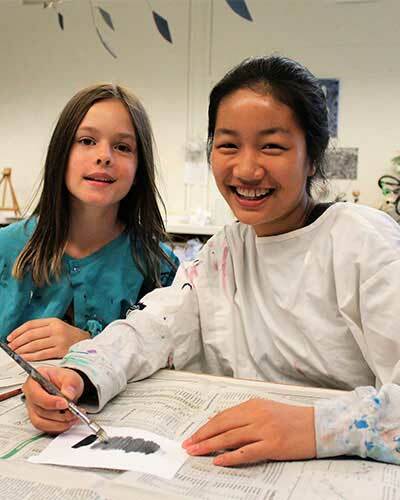 In order to receive the teacher recommendation form and problem set, parents should contact the Summer Program Director (nedmunds@overlake.org) to express their interest in the course and get the appropriate forms needed to complete the application. 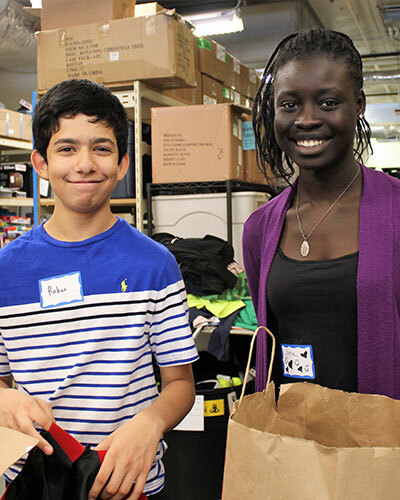 Once the recommendation form and problem set are complete, they should be sent electronically to the Summer Program Director (nedmunds@overlake.org) for review. Students are required to submit all application materials by May 1. Decisions on the student’s application will be made within one week of receiving all materials. It is crucial for students to attend class and be on time every day. Each day of the program is approximately equivalent to one week of school. Therefore, the only excused absences will be for illness or an unexpected, significant situation. All other absences will result in receiving no credit for any work due or completed on those days of school. Planned absences for family trips, appointments, or sports tournaments are not permitted. Three absences (excused or not) will result in a failing grade for the course. Regular and/or significant late arrivals to class will be considered unexcused absences. Students must take the final exam in order to receive credit for the course. Homework will be assigned almost every day, except for the night before an exam to allow for students to study their particular areas of need. It will be collected and assessed for completeness and correctness. This will provide another opportunity for targeted feedback to be shared between student and teacher. Specific problems will be open to general questions in class the next day, while others will remain as part of a portfolio of graded student work that will be generated over the course of the program. A portion of the students’ grade will be based on these homework problems. Late homework will not be accepted, unless it was the result of an excused absence as approved by the Summer Program Director, and will be assigned a zero. The essential fundamentals of cross country running will constitute the core of this camp. After some fun and easy runs, a summer training program geared towards preparing the motivated runner for the rigor of the competitive season will be provided. Special attention will be paid to learning how to keep and effectively use a personal training log.